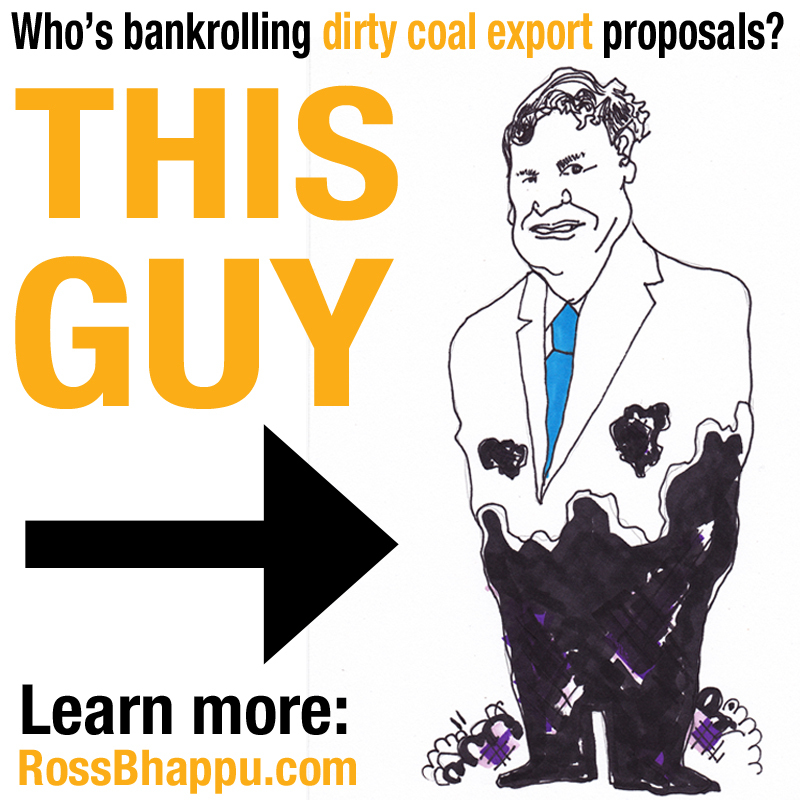 Help expose Ross Bhappu and his risky bet on coal exports! 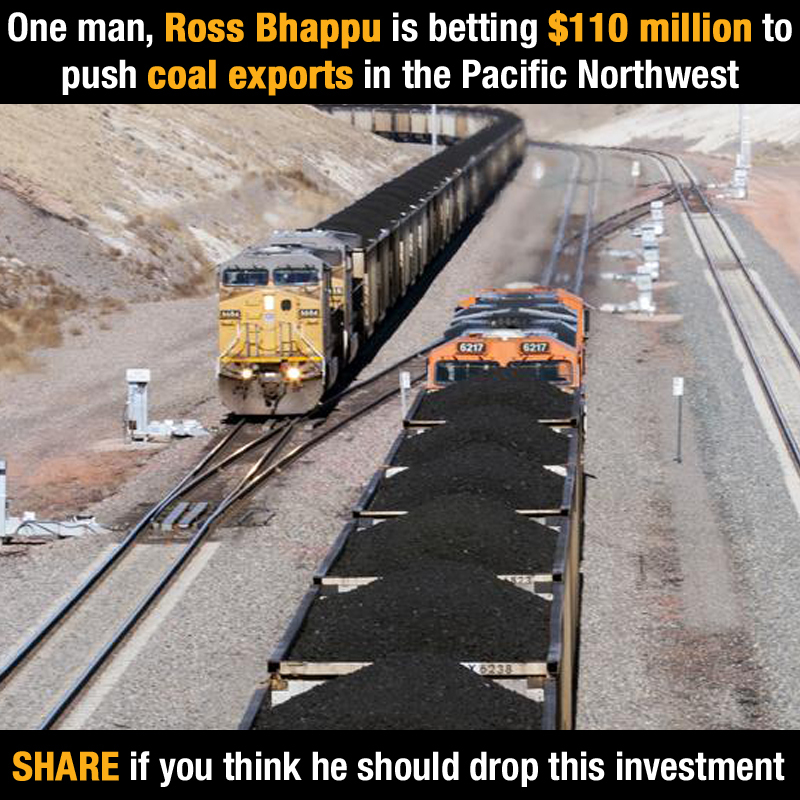 Tweet and share on Facebook now to spread the word. The images on this page are licensed under a Creative Commons Attribution-NonCommercial-ShareAlike 4.0 International License.